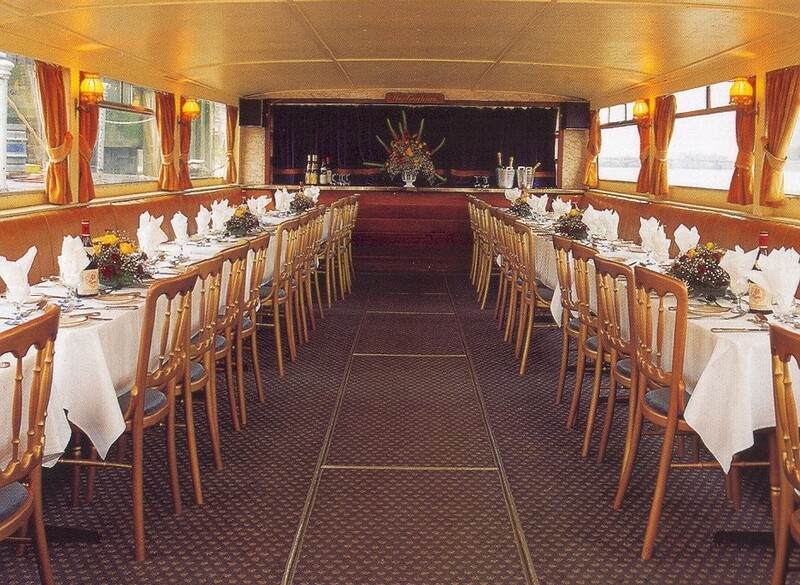 This Thames excursion launch was built in 1915 as a tunnel-stern steamship by Salter Brothers Ltd for Joseph Mears, of Richmond, and could carry up to 325 passengers. The tunnel stern was developed to protect the propellor from weeds and other debris. Her compound steam engine was built by W. Sisson. She was involved as one of the 'little ships' in the Dunkirk evacuation in May 1940. For most of the Second World War, she was part of the River Emergency Service as a supply tender. In 1947, she was acquired by Thames Launches and was converted to diesel power. In 1978, she was sold to Marine Transit Ltd, and from 1979, was operated by Tidal Cruises Ltd (later Thames Cruises). She has been gradually upgraded and modernised, with enclosed accommodation. 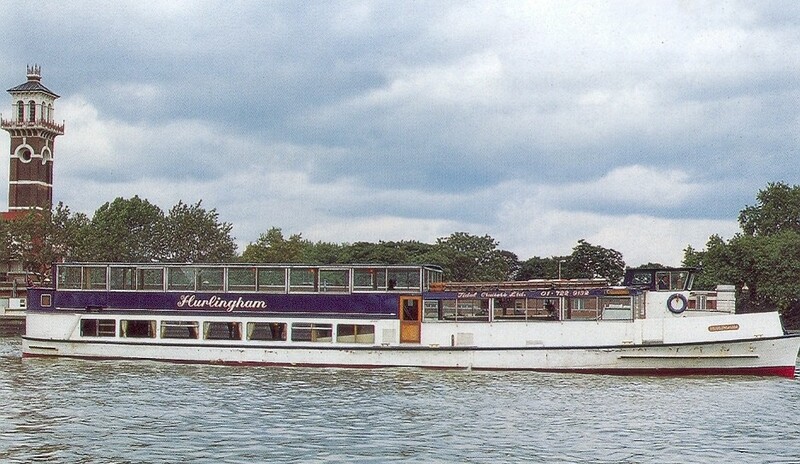 Between 1983 and 2002, HURLINGHAM ran from Westminster to Greenwich and since then has been used for charters. 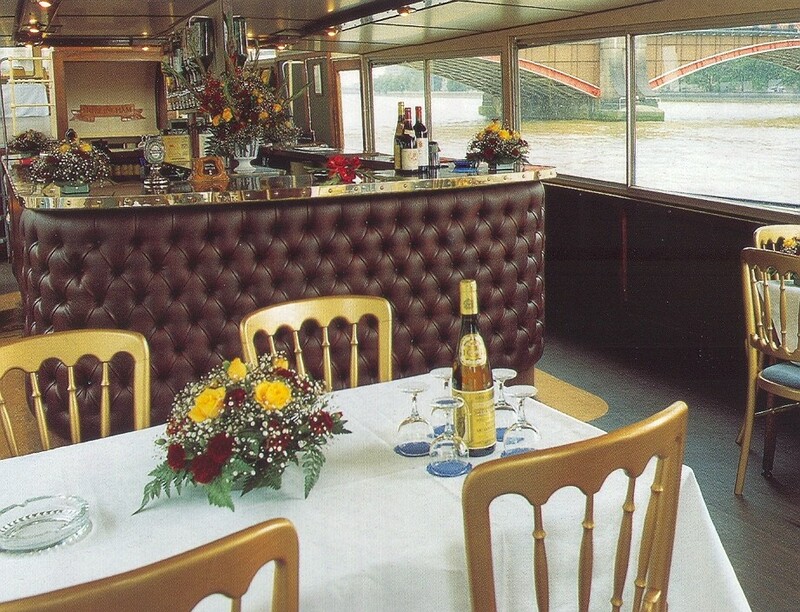 In the early hours of 20 August 1989, she was on passage near Southwark Bridge when her crew and passengers witnessed the collison between the dredger BOWBELLE and another Thams Cruises' excursion launch, MARCHIONESS, which sank. HURLINGHAM rescued over twenty survivors from the water, whilst fifty-one people lost their lives. Source: Paul Brown, Historic Ships The Survivors (Amberley, 2010), updated Mar 2011.